Every now and then, we are truly blessed with the opportunity to share our lives with a special soul, in this case a very special dog – our dog Simba. Simba came to us 12 years ago as a 7-month old puppy, extremely dehydrated, his skin felt like shoe leather, no doubt being lost in the desert for some time. 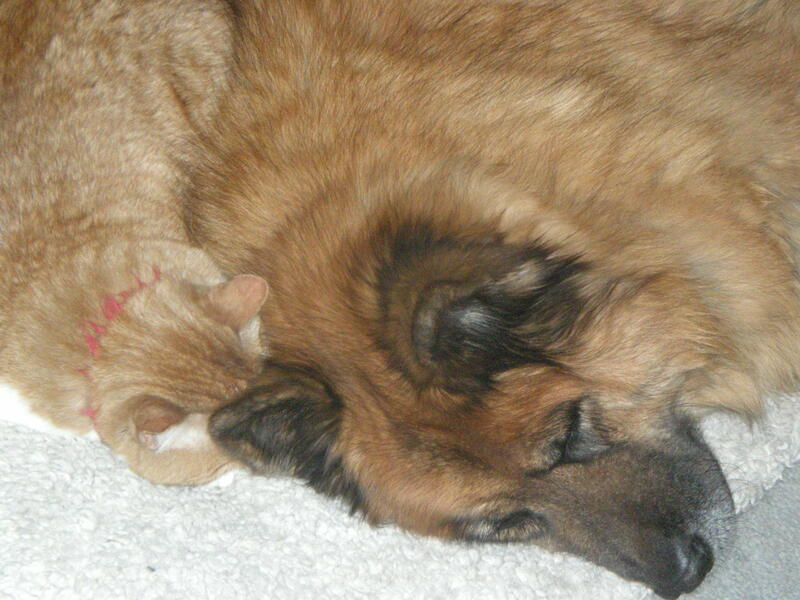 He did not come alone, but brought his best friend Sierra (who passed away last May). We searched over a period of many months via local newspaper ads, registration with the Humane Society, Animal Welfare Department, etc., for their family. But nobody ever came forward and asked about them. Unfortunately, this happens to be an everyday scenario here in the high desert of New Mexico. People just allow their dogs to breed and the unwanted offspring are just discarded in the desert (?!) (even though there are many excellent spay/neuter programs in place, some free, some for a very low fee). Needless to say, these dogs became integral parts of our family, loved and cherished. Our first dog Sheba loved them instantly, and their presence made her feel safe, when asked to stay at home. This was a great gift to us and made our lives so much easier. Considering the fact that we have always been posting at least once every week since the start of this blog last year, all of you faithful readers are probably wondering where we have been over the past couple of weeks. In the context of welcoming a new year, we have created a little video, viewable in our You Tube account, titled “New Year’s slideshow”, to make you smile, inspire you, and let you consider the possibilities that this new year brings. Let your heart sing.